These are some beautiful examples of red bouquets and flowers, without using all roses. 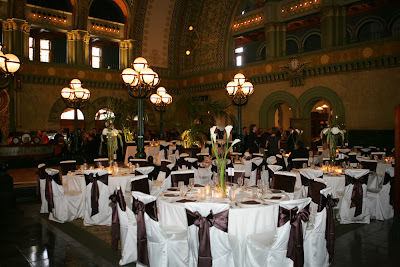 Lisa and Brett were married in early October and had a very elegant reception at Hyatt Union Station. 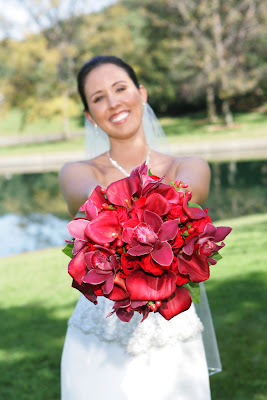 Lisa’s bouquet was a mix of several different types and textures of red flowers that included mini callas, orchids, roses, and hypericum berries. 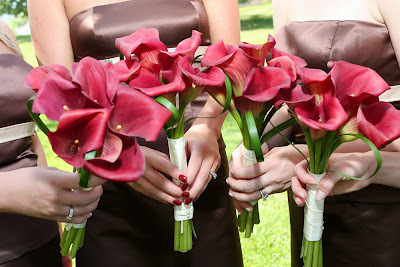 The bridesmaids carried bouquets of all red mini callas with looped lily grass accents. The entire reception was blanketed in candlelight. 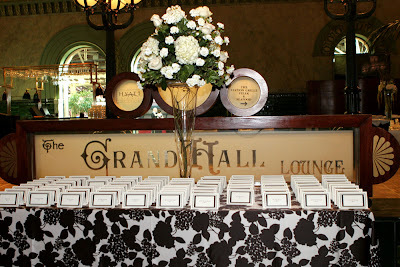 Three different sizes of votive candle holders were used in clusters on every table. Three different centerpieces were used to show three different looks and heights. 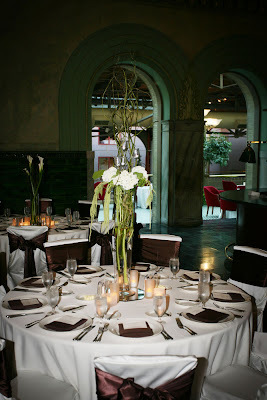 One version was a tall cylinder with white calla lilies and curly willow (as seen in the background of this photo). 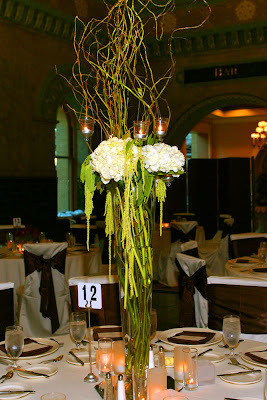 The tallest centerpiece was a trumpet vase filled at the base with white hydrangea and green hanging amaranthus with curly willow and hanging votives coming out of the top. Total height on this arrangement was approximately 5-6ft. 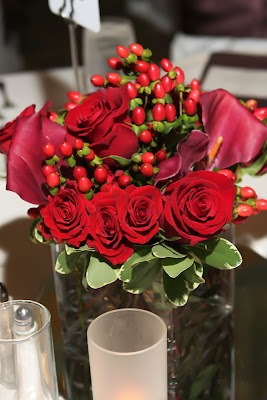 One-third of the tables had low cubes filled with all red flowers, similar to the bride’s bouquet. Notice how the different heights in the room bring interest to each individual table. 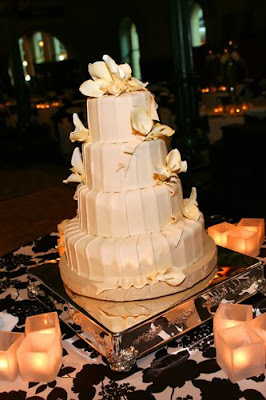 All our best wishes to the newlyweds!! Also, thanks to Elizabeth at Cosmopolitan Events for coordinating the event!